Space is one of the resources critical to the success of any organisation. Whether an office, retail store or warehouse, good spatial use adds value to the operations cycle and raises long-term cost-effectiveness. An ingenious method that is radically changing design of space across all industries and types of facilities is the mezzanine. Low expenditure: A mezzanine priorities function, using specially designed materials that require minimal construction hours and maintenance. The structure is an elegant solution that enhances the look and feel of a working environment but without being investment-heavy. Mezzanines also have a long lifespan, making them thoroughly practical investments. Flexibility: Installations come in virtually unlimited designs to match not only the unique features of the building, but also the décor of the environment. The mezzanine is built according to the custom specifications of the space and they can, for example, include multiple floors; cover a whole area or a part of it; raise to different heights. 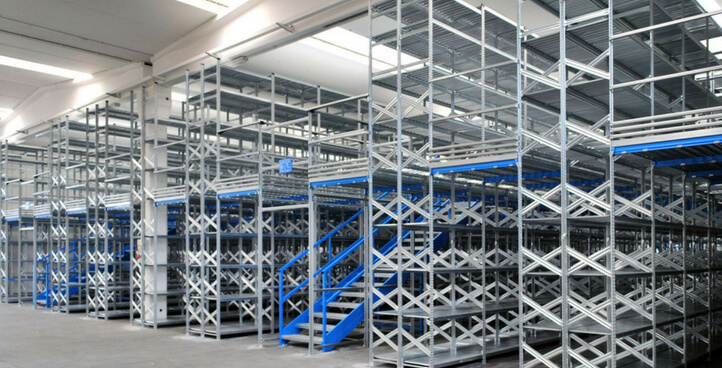 A mezzanine is ideal for a diversity of uses and can be equally designed for storage racking, desk space, as a retail area, and everything else in between. Non-invasive: Mezzanines do not require structural alterations on the building itself, keeping expenses down and speeding construction times up. Even more importantly, the mezzanine is a semi-permanent structure that can be demounted, reconfigured, and re-installed in a different environment, keeping up with the changing business requirements. 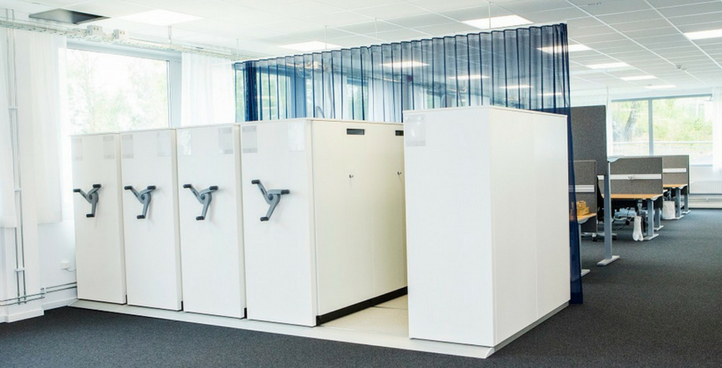 See how much unused space your company can recover by speaking to a Storage Systems expert today. Contact Us! Intralogistics is one of those terms people may feel unfamiliar with until they realise it has been a central part of what they do. Defined simply, intralogistics is the system of managing the flow of goods within an organisation, including its data and digitalization of processes. Intralogistics, then, is not a fancy new word for good old warehousing. The two concepts denote completely different methods of management and strategy. 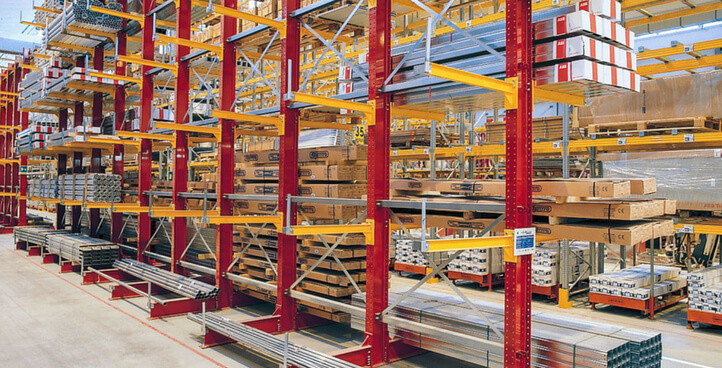 The main priority of warehousing is storing, while intralogistics is focused on circulation. In day-to-day operations, the contrasts between the two approaches are less nuanced. A company’s vision and game plan, though, is unmistakably conditioned by the choice of one or the other. Automation: Digitalisation means that tasks can today be performed at a higher rate of accuracy and with minimal resources. Automation goes together with an intralogistics approach, adding value with every turn of the operations chain. Speak to the pioneering name in intralogistics solutions, Storage Systems. Contact Us! The history of human civilization is also the story of people trying to rid themselves of hard toil and offloading it onto other persons, animals, or machines. The whole concept of automation is often seen as technology that makes life easier. From an entrepreneurship point of view, however, automaton means higher value and better returns. 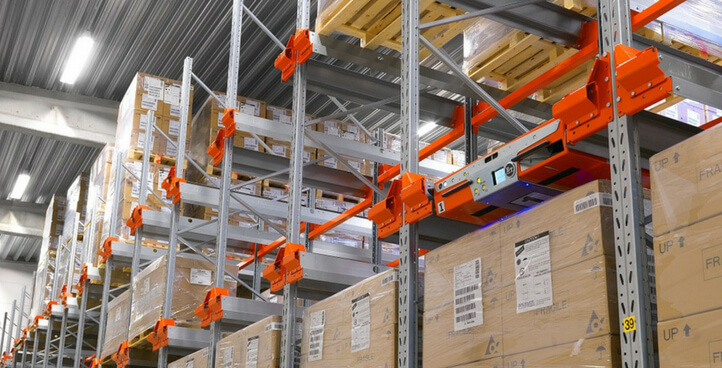 More companies are recognising the potential of warehouse automation as a strategic asset that brings agility, flexibility, and efficiency. With fundamental shifts in technological ability, these are the five major reasons that are increasingly making warehouse automation a serious gamechanger. Job effectiveness: With automated processes handling repeated tasks, employees can concentrate on more complex jobs that require keener decision power. Machines can manage basic tasks to perfection while job satisfaction is raised for staff. Flow accuracy: automated equipment knows exactly what to do and when – and performs the action perfectly every time. Precision eliminates disorder which piles up wastage of resources and capital. Time maximisation: The new generation of automation means that warehouse processes can remain in operation longer without the added complications and expenses of human resources. Cost cutting: Automation not only adds value by enhancing operation efficiencies but also by lowering recurring expenses. High-quality machines mean very low maintenance and servicing costs. 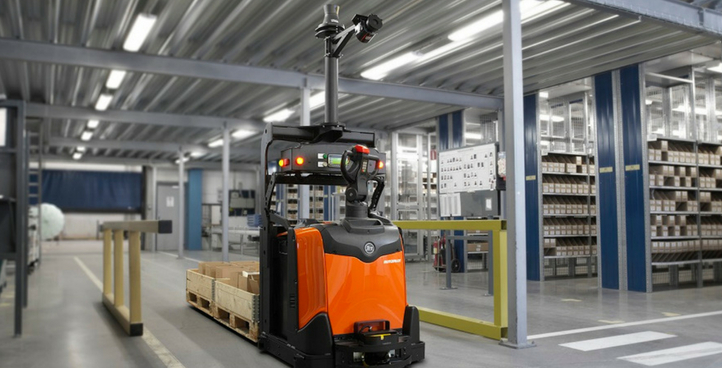 Safety boost: Smart software and advanced laser systems make automated machines the ideal collaborators on the warehouse floor. Equipment is loaded with fully-alert vision sensors and can detect and effectively respond to health and safety risks. Damage reduction: Accurate movement and superior sensor technology means that automated machines drastically curb on-site accidents, protecting wares and limiting disruption. Machines offer uniform behaviour throughout the day. Energy efficiency: Automated equipment intelligently distributes energy to save resources. Machines are energy cost-effective and capable of independently re-charging batteries, optimising use of time to match operation requirements. Learn more about what automation can do for your organisation. Get in touch with Storage Systems today. Contact Us!